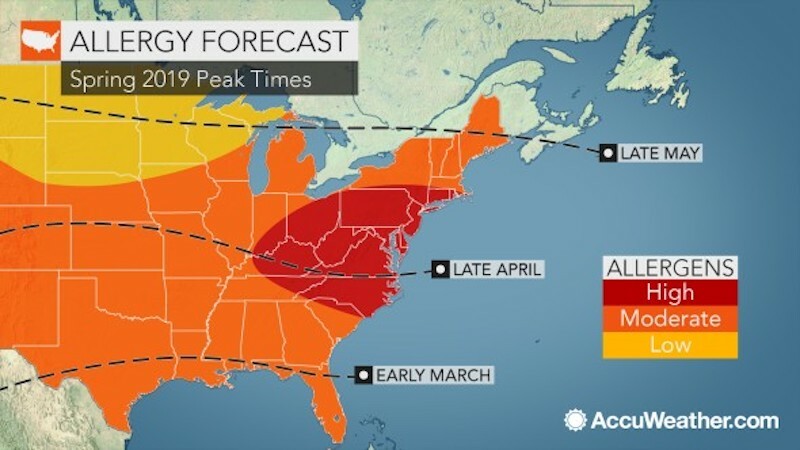 According to a report by AccuWeather, the pollen counts for the DMV region will peak starting in late April to mid-May. As usual, trees are the main culprit for spitting out the yellow Death Stars (wreaking havoc on our sinuses), specifically maple, elm, and juniper trees. While the tree pollen count is still low, it is expected to gradually increase to high levels over the next few weeks. Ragweed and grass pollen will also be an issue, as usual. 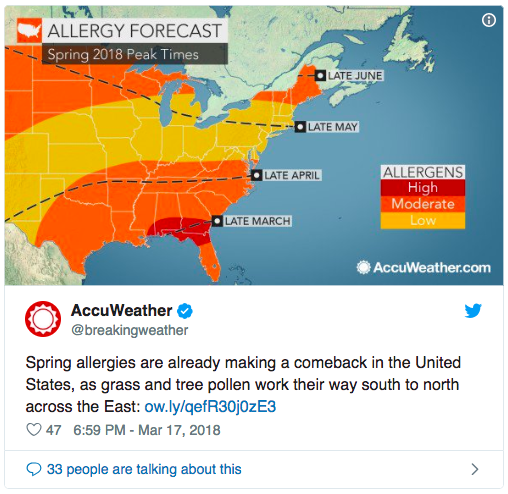 "From the Gulf Coast through Kentucky and southern Virginia, grass pollen levels will climb to very high levels in April and May thanks to warm air and ample moisture," AccuWeather meteorologist Alan Reppert said. "Pollen is one of the most common allergens in the United States," Pollen.com states on their site. "Over 67 million people suffer from allergies, and of those 67 million, 81% say they are allergic to pollen." Some less common and rarer symptoms include headaches, loss of taste and smell, low productivity and concentration, fatigue, sleep disturbances and snoring. Here are some recommended methods for reducing your allergy symptoms. It is important to make these part of your daily routine during the high pollen season. You can keep track of the pollen counter on The Weather Channel's website or on Pollen.com's handy, interactive National Allergy Map. 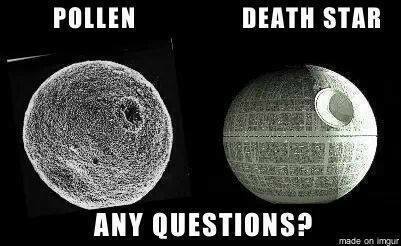 Do you suffer from severe allergies? Are you looking forward to warmer weather? Tell us in the comments below. Here's a cheeseburger-scented candle to make all of us feel better about the upcoming allergy season -- Sniff it while you still can!